I’ve kind of talked about some of these things in other posts, but I felt like adding a visual. Here is a chart of a metric that is currently in use. 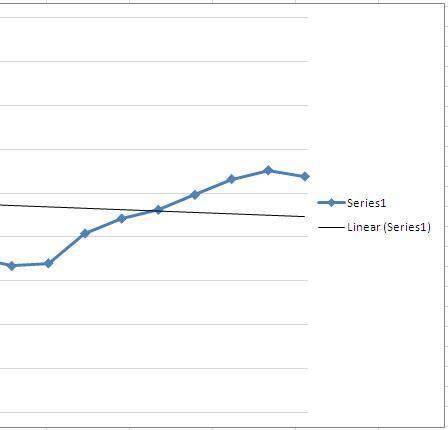 The actual scale and what it is measuring is blanked out (for obvious reasons) but this is an actual data run with the required linear trend line added in Excel. The relevant context is that this is a time based chart (x-axis) and that zero is better (data points closest to the bottom of the chart area). First a question: Is this process getting better or worse? According to the trend line (and several people’s understanding of it) this process gets kudos for being “on a downward trend”. Now, what if I just asked you to look at the last 10 data points? Is it getting better or worse? While it doesn’t quite pass the SPC chart test for number of points in a row in one direction, something clearly seems to be drifting in this process. While it may just be in the realm of normal or explainable variance, it certainly requires a second look and the last 4 points are higher than all but points 2 and 3 in the first chart. Now, what if I told you the data for the 2 highest points in the first chart were from an explainable, corrected special cause? 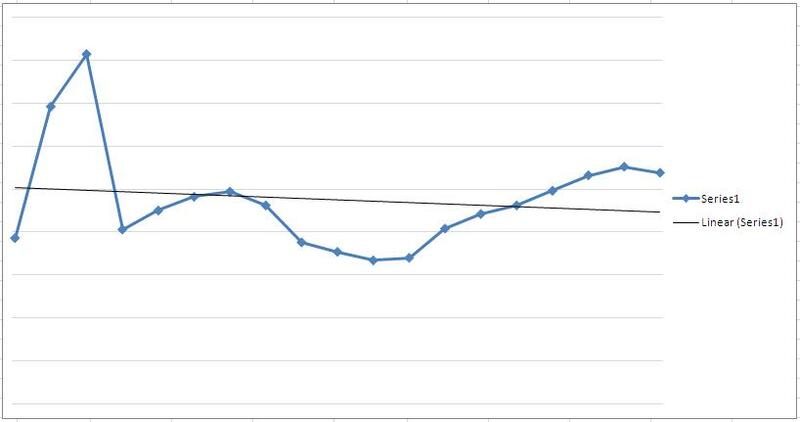 Overuse of the linear trend line in an Excel chart – Honestly, very little good can come from this function. Skip it unless you have to use it. Letting the overall behavior picture be clouded by a few special cause points – try cutting them out if you can to run a parallel look at your data…they shouldn’t be ignored, but their impact shouldn’t muddy the whole picture. Having the pre-determined time period confuse the analysis – if a chart of data is based on something like a fiscal or calendar year or month, sometimes it loses or gains data points that make the current performance unclear. Context is important, but the right context is critical.